MY FAVORITE CHILDHOOD TV SHOWS...TALK ABOUT RETRO-GASM! Today I was feeling a bit nostalgic about the television shows and cartoons from my youth. As a tribute to days long since past I've complied a list of my favorites! "BATTLE OF THE PLANETS" A.K.A. 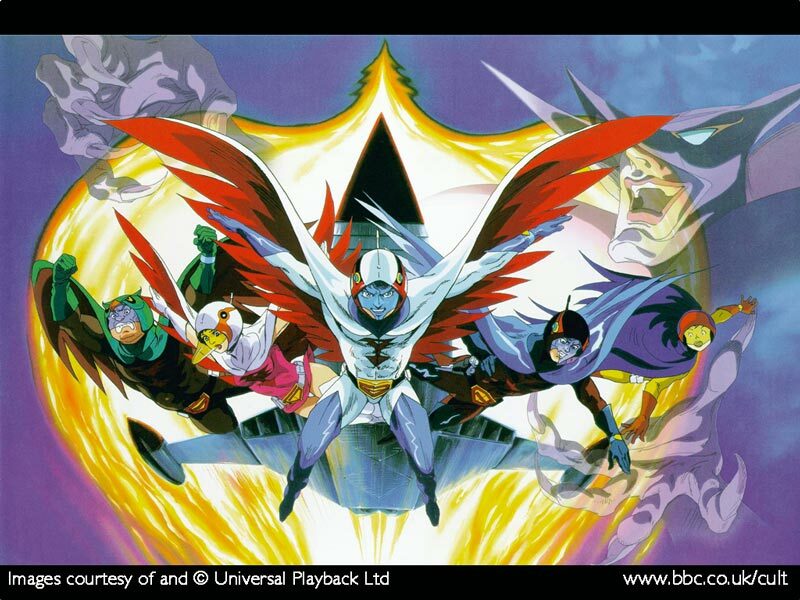 "GATCHAMAN"
Gatchaman originally titled "Kagaku ninja tai Gatachaman" aired in Japan 1972-1974. 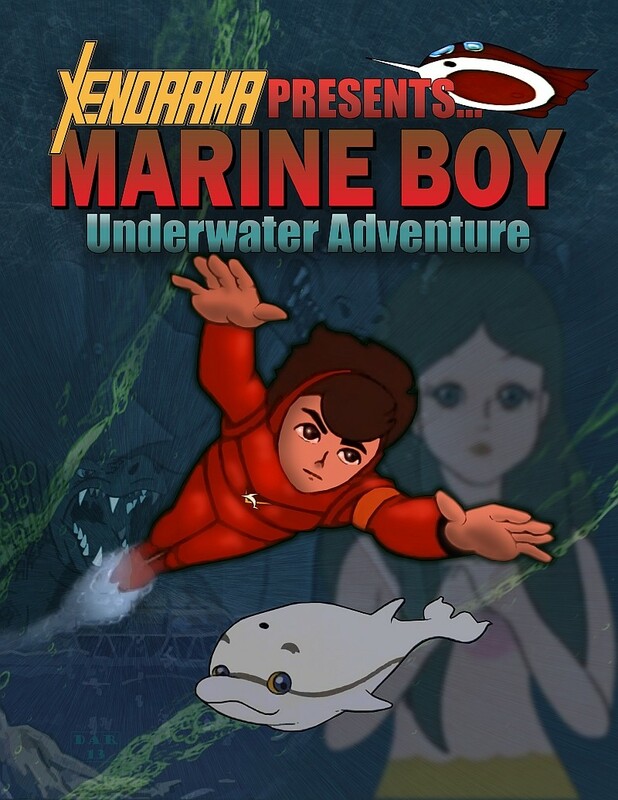 The animation was an action filled sci-fi feast and considered to be ground breaking during its heyday. 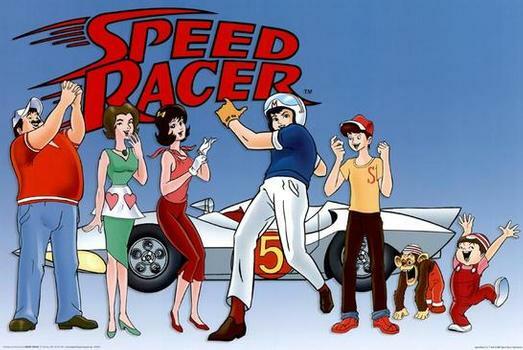 The show was about five orphaned teenagers with superpowers that defended the Earth from invaders from the planet Spectra. I can remember running home from grade school, rushing through my chores and breezing through my homework (only to have to go back and redo it--thanks mom ) so I could watch it! My best friend in grade school and I would use our lunch and recess time to draw different scenes on notebook paper of the previous day's episode. The show's 70's disco-infused soundtrack added to its unique style and excitement. As a kid there was no recounting the previous day's episode without mimicking the score to each scene. How did it go again? Oh-yeah that's right "Da-da-dat, da-da-dat, da-da-daaaaah!" Oh, the memories! It was like kiddy-crack! Better than Christmas, birthdays and snow cones on a hot summers day! Well maybe not Christmas. In 1978 Sandy Franks acquired the rights to produce an american version of the show and titled it, "Battle of The Planets." 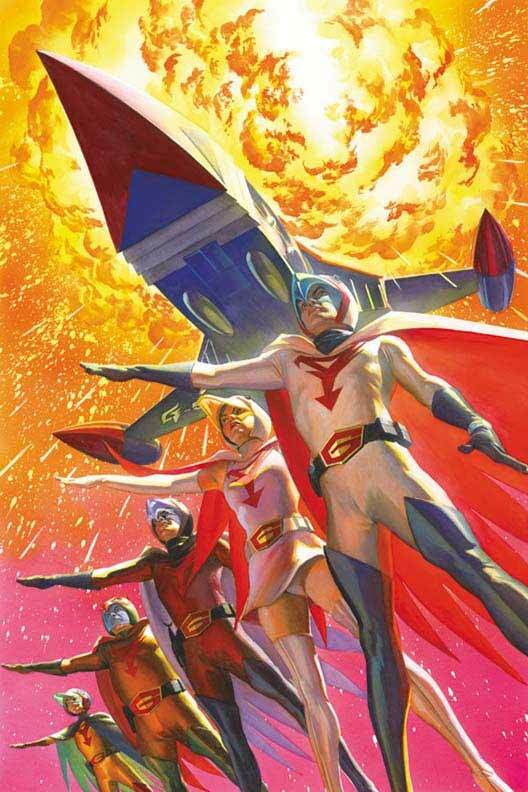 Due to Gatchaman's graphic depiction of violence, use of profanity and transgenderism, Sandy Frank had the show cut six-ways-to-sunday creating several plot holes and shortened episodes not ready for air. To compensate Franks created a new character "7-Zark-7" (unfortunately the character was not embraced by fans) that bore a close resemblance to 'Star Wars' R2D2. In fact it was Franks' and the American audience's infatuation with the popular Star Wars, which prompted Franks to acquire the rights to the Japanese cartoon. 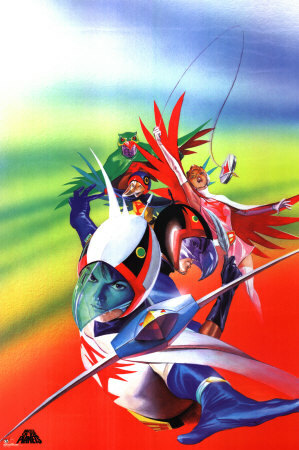 Battle of The Planets went on to become a major success for Sandy Franks Production. In 2007 Franks' thirty-year license expired and in 2013 Sentai Filmworks licensed the Gatchaman franchise. Over the years since the original BotP went off the air several remakes were aired, including the Ted Turners' G-Force. A 1968 version, which used the original footage and extended some of Franks' edits. A ridiculous live action movie dubbed G-Force was made based on the show. It portrayed the teenage heroes as of all things HAMSTERS! Needless to say that film ended up as road kill at the box office and in the minds of Gatchaman fans. Another live-action animation film, which was closer to the original teased fans with promos and trailers, but never saw the light of day. Thank God for that small favor! Because, like many remakes, it looked like it wasn't going to keep the original's integrity. 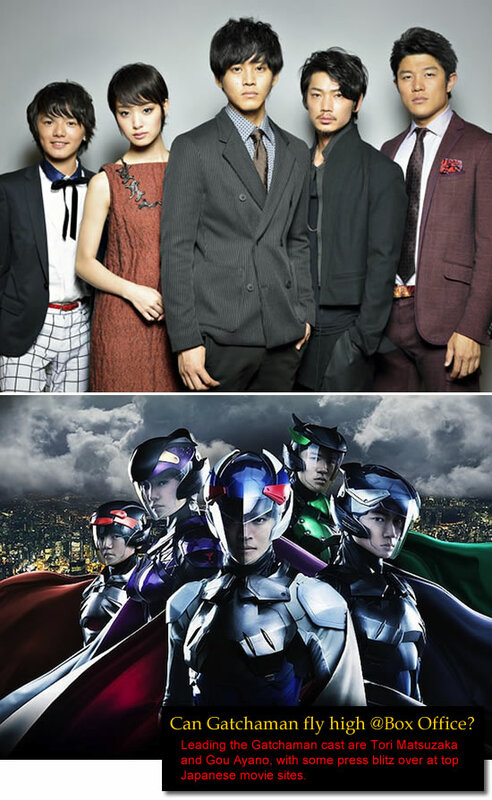 Recently, a live action Japanese film called "Gatchaman" made its premier. It was said to have hit the ground running by throwing fans right into the action--sparing the typical Hollywood backstory route. Unfortunately, the film is said to be weighted down by endless dialogue, which is not balanced well with action. :roll:To a true fanboy's dismay the trailer looks like a Power Rangers reboot. 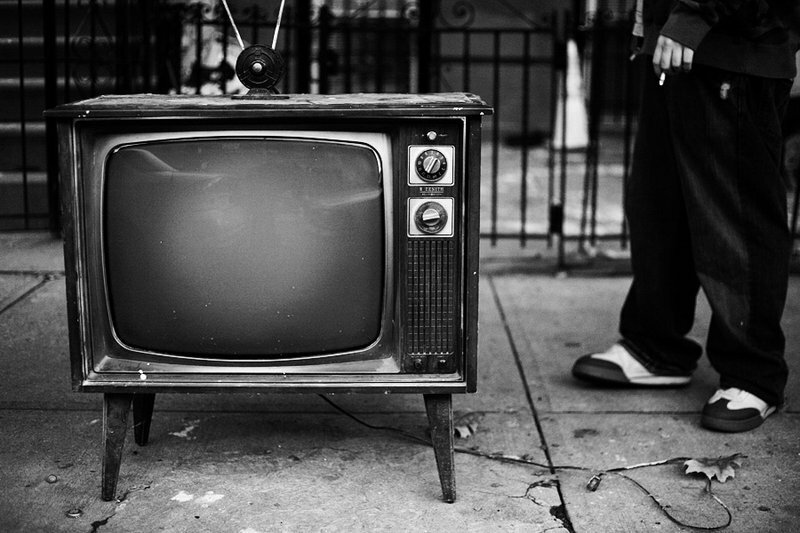 WHAT ARE YOUR FAVORITE BACK IN THE DAY TV SHOWS? WHAT ARE YOUR FAVORITE RETRO SHOWS?